National Park Service Authorities at Lake Mead National Recreation Area are looking for information about this personal watercraft, which was found unoccupied around 2:45 p.m. Sunday, Oct. 14, west of Boulder Harbor. Authorities at Lake Mead National Recreation Area are seeking information from the public regarding a personal watercraft that was found unoccupied on Lake Mead on Sunday, Oct. 14. National Park Service rangers and Nevada Department of Wildlife wardens have been searching the area for a possible operator. 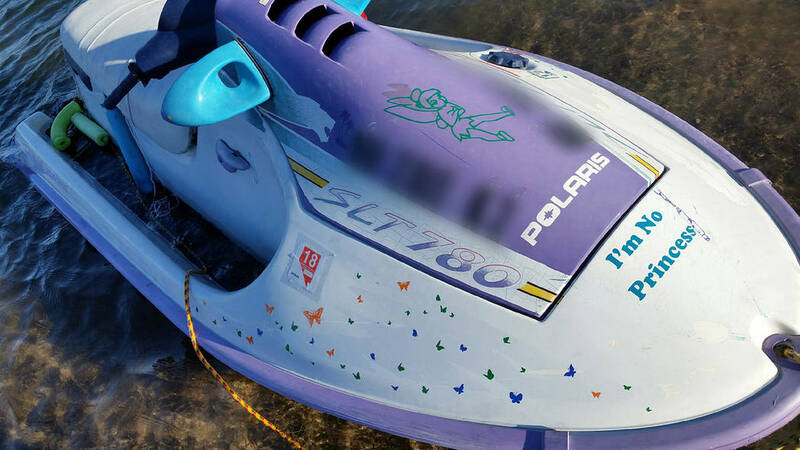 Authorities are not able to identify the owner using the vessel’s registration. Anyone with information on this vessel is asked to call the Lake Mead Dispatch Center at 702-293-8998. The incident is under investigation. Construction on the tunnels along the Historic Railroad Trail in Lake Mead National Recreation Area started Monday, Oct. 15, and will cause some closures for the next month. Crews will work in one tunnel at a time through Nov. 15 to remove loose rocks and repair cracks and missing shotcrete to improve the structures’ integrity. Work will be done Monday through Thursday; visitors will be able to hike along the trail to the tunnel under construction. The full trail will be open Fridays, Saturday, Sundays and on federal holidays. Additionally, all races and ranger programs scheduled during the construction will occur. This project is expected to cost around $150,000. Along the trail visitors will have opportunities to see panoramic views of Lake Mead, overlooking the Boulder Basin, as well as the railroad route that ran from Boulder City to Hoover Dam from 1931-1961. To view a virtual experience along the trail, visit www.nps.gov/lake/planyourvisit/hikerr.htm. Area residents are invited to learn more about a proposed integrated energy project for the Southwest during an open house from 6-8 p.m. Tuesday, Oct. 23, at the Multiuse Building, 1204 Sixth St.
ITC Holdings is studying the feasibility of developing the Big Chino Valley Pumped Storage project that would involve a closed-loop pumped storage hydro facility and three transmission lines extending into Clark County and Coconino, Mohave and Yavapai counties in Arizona. The project would develop a 2,000-megawatt hydro facility, a power house and two reservoirs covering 420 acres. Water would be pumped from a lower reservoir to an upper reservoir during periods of high renewable generation and/or low electrical demand and store it as potential energy, like a battery. The facility can return the stored energy to the grid on demand by flowing water by gravity through a generation turbine back to the lower reservoir. The project would require a one-time fill of around 9 billion gallons of water from the Big Chino aquifer. Councilman Warren Harhay will be joined by Clark County Commissioner Jim Gibson when he holds his informal Coffee with a Councilman gathering from 2-4 p.m. Saturday, Oct. 27. Harhay will be at Starbucks, 1048 Nevada Way.